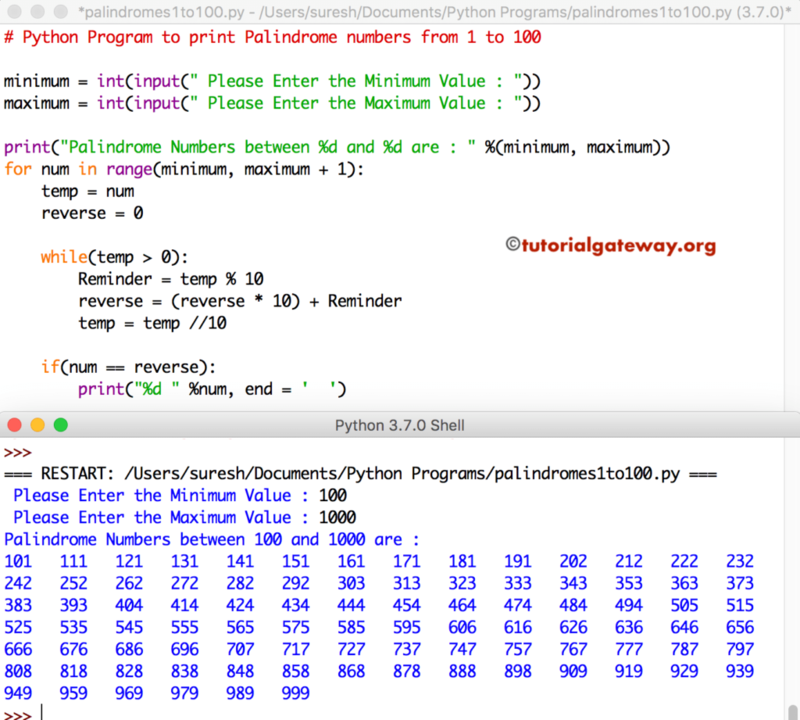 In this article, we will show you, How to write a Python Program to print Palindrome numbers from 1 to 100 or 1 to n or minimum to maximum with example. TIP: I suggest you to refer reverse a Number, and Palindrome Program article to understand the logic. This python program allows the user to enter the maximum limit value. Next, this program will print palindrome numbers from 1 to user entered value. We used While Loop to reverse the given number. If statement is to check whether a given number is Palindrome Number or Not by comparing original value with reverse number.